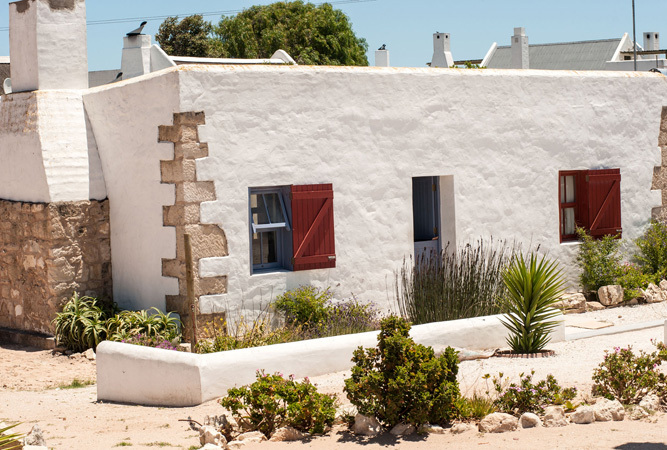 If whitewashed beach cottage feel is your thing, then Paternoster on the West Coast is your kind of place. Within easy driving distance of Cape Town this still active, traditional fishing village has romance written all over it. Great seafood restaurants, plenty of excellent accommodation and miles of white sandy beach are yours for the taking. And its lack of commercialisation (there are architectural restrictions on any new buildings) means there is little chance it will ever lose its quaintness. Summer weekends can get a little busy, but there are plenty of nooks and crannies, nature reserve and beach for everyone. We recommend these fine properties for a ROMANTIC break… Paternoster Honeymoons or choose a cosy cottage or home for Self-Catering in Paternoster. The warm waters of the Indian Ocean are what makes the Sunshine Coast of the Eastern Cape so very attractive, but when it comes to romance the unpretentious village of Cape St Francis with its little floral reserve, beautiful swimming beach and Seal Point surf break wins hands down. 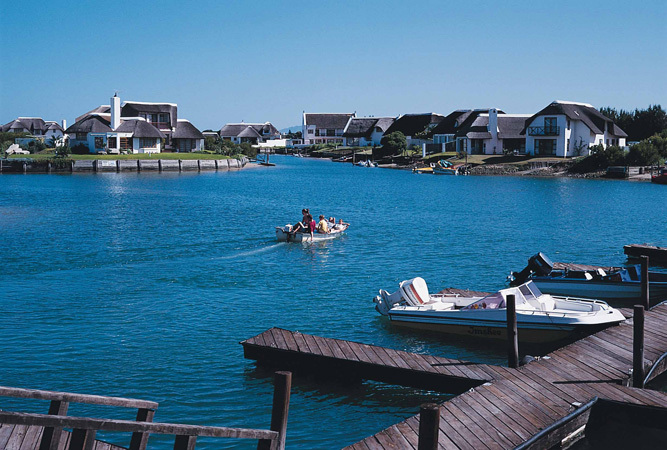 Just around the corner from it is upmarket St Francis Bay with its network of canals and black thatched, white stucco walled holiday homes. We recommend the self catering villa for two at Beach Break or choose a cottage or holiday home for Self-Catering in Cape St Francis. 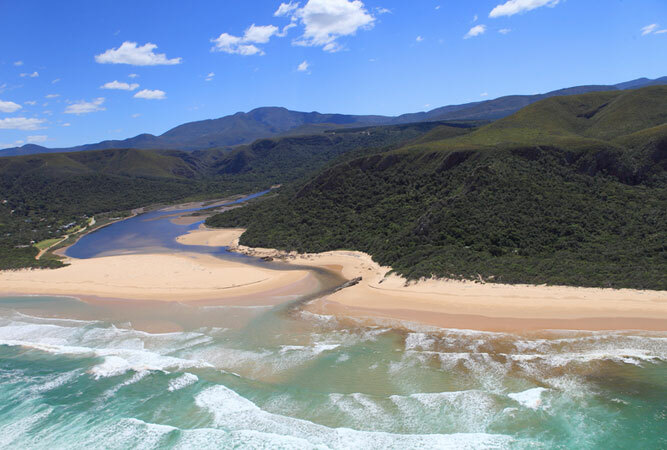 Whilst most travel magazines will expound on the virtues of Storm’s River Mouth and the Tsitsikamma (and rightly so, for they are beautiful), Nature’s Valley gets less attention. The little village lies tucked off major roads on the edge of one of the most beautiful and deserted beaches of the Garden Route. This tiny cove has liaison written all over it, particularly if getting away from it all is your idea of romance. Perfect for a ROMANTIC getaway, we recommend these Nature Valley Honeymoon Retreats or browse through all our Natures Valley Accommodation options. 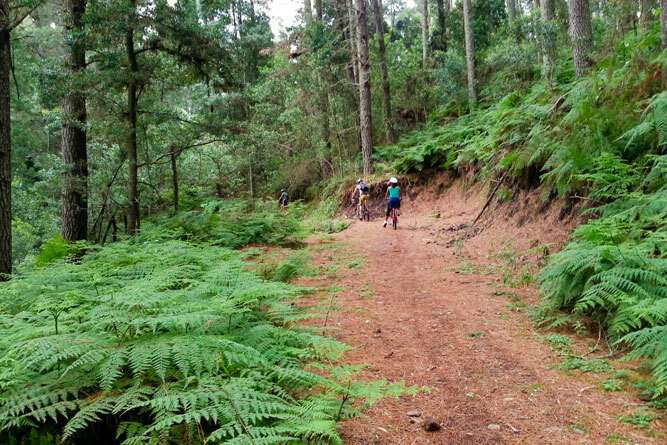 Deep in the Amathole Mountains, in the land of mists and rambling roses, is the village of Hogsback – likened by South Africans to Tolkien’s Middle-earth for obvious reasons. The terms ‘enchanted forest’ and ‘away with the fairies’ will roll off the tongue with ease after visiting labyrinths, going on forest walks or looking out over the valleys below. If serious wood walking is your thing, then you’re going to want to remain here. We recommend these Hogsback Honeymoon venues or see all options for Accommodation in Hogsback. 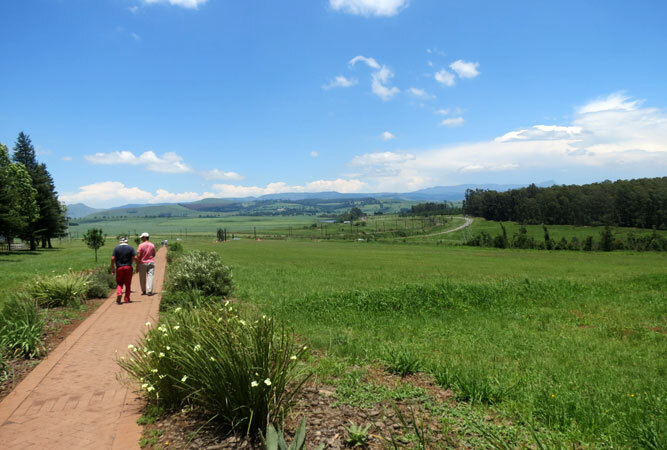 Quintessential country living is what the Midlands are about – green hills, forests, waterfalls, the foothills of the Drakensberg, farms, lakes and dams. Much of the area is popularised by the Midlands Meander – a self-drive arts, crafts, eateries and farmstay route, which you can spend days doing, escaping to overnight idylls in restored country barns, cottages and sheds. Peaceful valleys, effortless nature reserves filled with birds and misty forests, walks through green belts, and a series of little towns just begging to be explored. You will be spoilt for choice in the Midlands! We recommend these Natal Midlands Honeymoon retreats or browse through the options for Self Catering in Natal Midlands. South Africa’s major mountain wilderness, known as the Dragon Mountains, has its highest peaks on the border with lesotho. Here the escarpment is a series of wall-like buttresses that, when combined with glorious waterfalls, rivers, grasslands and forests, makes for one of the country’s most breathtaking spaces. A paradise for hikers the Drakensberg is wild and unpopulated with a range of tabletop peaks that mesmerise with their magnificence. Within this World heritage section of the Drakensberg are numerous parks and reserves in which one can stay. 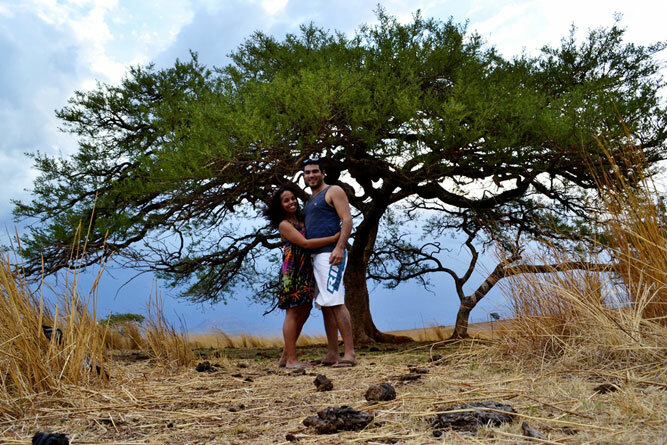 We recommend any of these fine Drakensberg Honeymoon retreats or browse through Self Catering in Drakensberg. There are many options available for couples looking for privacy. Not everyone’s idea of a romantic escape is about doing nothing on the edge of a beach. 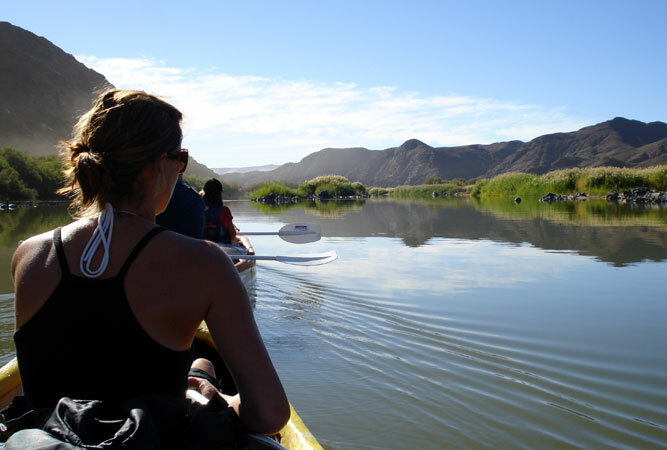 Canoeing the Orange River provides the splendour of natural beauty with enough physical exertion to provide the impetus for a good night’s sleep on the banks of the Richtersveld, as the Orange River laps gently in the light of a full moon. This journey is one of self discovery, starting daily at dawn, the challenge both physical and mental. We recommend staying in Namaqualand. Browse through the Namaqualand Honeymoon retreats or see hotels in Namaqualand. 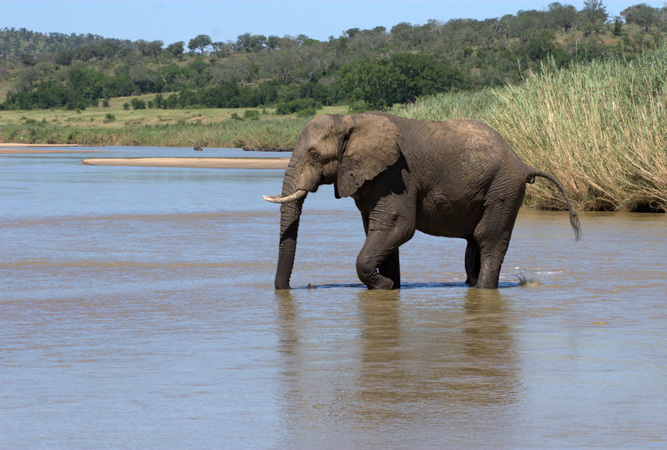 For sights, sounds and smells of ‘real Africa’ it doesn’t come better than the Hluhluwe-Imfolozi Park – home to the rhino, both black and white, along with the rest of the Big Five. 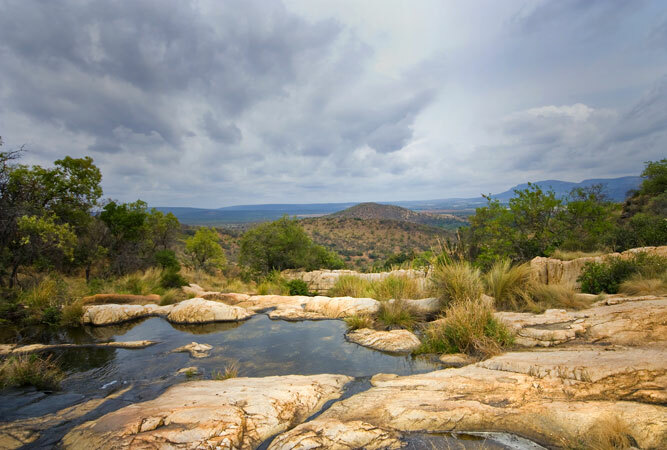 Set in the heart of Zululand the reserve combines lush scenery and a network of hiking trails that allow camping deep in the bush. The national park is South Africa’s oldest game reserve and one of the first to actively work at saving the rhino. If you can, do the Imfolozi Wilderness Trail into the remote wilderness section of the reserve. We recommend any of these Hluhluwe hotels and lodges. One of our favourites for ROMANCE is Rhino Ridge Safari Lodge (but you’ve been warned – book WELL in advance). The mountain range once known as the Kashan Mountains is a montage of deep gullies, impressive kloofs, clear mountain streams, pools and waterfalls, well-wooded slopes, unusual rock formations and sheer quartzite cliffs. Long the weekender’s escape space the Magaliesberg still has boltholes and retreats that give one access to the outdoors, the open sky and quiet. Places to stay vary from little river side cottages to five-star heaven. We recommend these Hotels in Magaliesberg, or browse through our Magaliesberg Self catering options if you prefer to cater for yourselves. The clear, cloudless skies of the upper Karoo make for stars that are unrivalled anywhere else in the country. It is why Sutherland is the home of SALT (South African Large Telescope), and why SKA (Square Kilometre Array) lies just outside Carnarvon. And why towns like Carnarvon, Loxton, Williston and Fraserburg have become popular with those who get excited by the back routes and byways of anywhere. 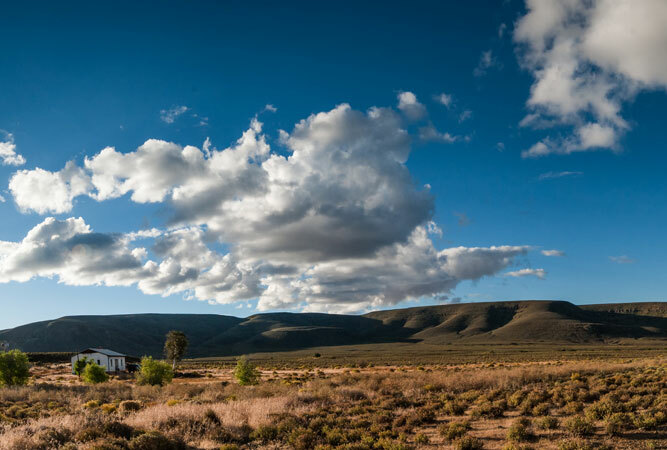 Browse through our recommended Upper Karoo Honeymoon retreats to find a ROMANTIC getaway or look for a romantic cottage for Self-catering in Upper Karoo. The four interlinked lakes of Kosi Bay in Maputaland are not easy to reach, way north along South Africa’s east coast. But once there, in amongst the four interlinked lakes, reed channels and white beaches, you will wonder why you waited so long. 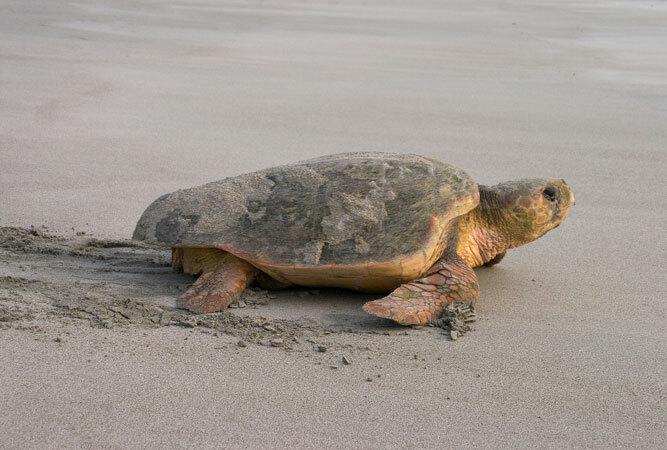 Leatherback and loggerback turtles breed on the beaches here between October and February, whilst the local Tsonga people still use traditional fish traps. Snorkel, fish, boat the lakes and walk the giant raffia palm forest. For the ultimate ROMANTIC breakaway we highly recommend the gorgeous Thonga Beach Lodge or browse through all our Kosi Bay accommodation options.